Welcome to Skin Oasis Institute, your premiere location for exceptional, personalized treatments. We are a stylish, high quality medical aesthetic boutique, nestled within the medical district on First Colonial Road in Virginia Beach, Virginia. 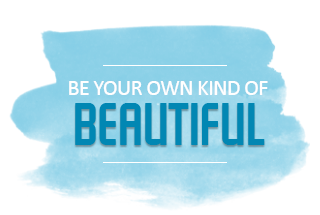 Providing the most natural looking permanent make-up, and advanced aesthetic treatments resulting in a more beautiful YOU! Jacquelina specializes in the Softap Hand Method of Permanent Makeup Application, creating the most-realistic eyebrows, as well as Scalp Micropigmentation for hair follicle replication, restoration of areola color, vitiligo, camouflage and Corrective application. Skin Oasis Institute also provides Medical spa services which include Micro Skin Needling, Microdermabrasion, Spider Vein Removal, SkinTightening and Body Contouring. Jacquelina Furfaro, owner of Skin Oasis Institute, holds a degree in Art and Design. She is licensed in Virginia and Arizona as an Instructor of Master Aesthetics, Post Graduate Training and Permanent Make-up Training. Jacquelina is a Certified Laser Technician, Laser Safety officer, as well as certified in Cool Sculpting and Red Light Therapy. Jacquelina’s expertise is in Medical Aesthetics and the Hand Method of Permanent Makeup. She is nationally recognized as an Instructor of basic and post graduate training in Aesthetics as well as Permanent Makeup application, both by hand and machine. Jacquelina has trained allied health professionals at the Mayo Clinic in Scottsdale Arizona and the Cleveland Clinic in Ohio, as well as Basic and Post Graduate training at the National Aesthetics Institute in Scottsdale Arizona, The Skin and Makeup Institute in Glendale Arizona, as well as the Skin Oasis Institute in Fountain Hills Arizona. Jacquelina’s early training in Art and Design sharpened her natural sense of color, symmetry, and eye for beauty, however it is her quest for perfection that truly defines her, with the desire to deliver results. Jacquelina is sought out across the country for her expertise of 25 years in the field of basic to advanced Aesthetics, Permanent Makeup Application and Scalp Micropigmentation. Her training in Aesthetic Lasers was completed at National Laser School in Scottsdale Arizona, where Didactic as well as Hands on training with lasers for aesthetic use is required by law in Arizona. Manufacturer training with laser equipment is NOT an acceptable form of training for licensure in many states. With Jacquelina’s eye for detail, her quest for perfection, her love of creating art, and her solid foundation of knowledge and training combined with a pampering spa like atmosphere makes Skin Oasis Institute your “Want to be Place”.